Rabbi Uri Miller (1906 - 1972) joined Beth Israel synagogue in New Orleans in 1935, a post he would hold through the early 1940s. He was president of the Hebrew Theological College Alumni from 1936 to 1938, and of its successor the Rabbinical Council of America from 1946 to 1948. He was the rabbi of Beth Jacob in Baltimore from 1945 to 1972. 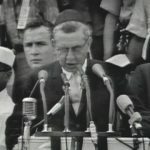 From 1963-1965 he served as president of the Synagogue Council of America.